Teen behavior actually makes sense, once you understand what adolescence is all about. Adolescence is a time of transition from childhood to adulthood, from freedom to responsibility, and very few of us make it through that transition unscathed. Anger is the "pushing away" emotion, and it comes in handy for an adolescent trying to push away from his or her parents. This is your chance to get on the same page with your teen, and build a great relationship. That doesn't mean you become best friends, it means you encourage their independence and their development into healthy, happy adults. There's a lot of letting go that needs to happen, as teens move through these transtions, and that's your job as the adult. All teens are not angry. 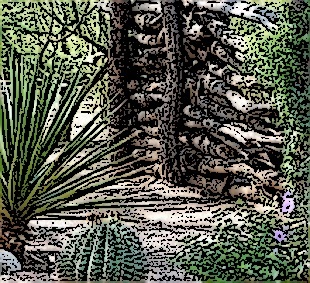 The reason that a lot of them are is that rebellion, breaking the rules, and testing limits all go along with the transition from childhood to adulthood. 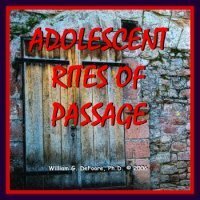 Adolescent rites of passage help the teen with this process, and take some of the pain out. This will help your teens become their own best anger management resource. You probably recognize your child somewhere in one of those descriptions of teen behavior. So now, of course, the question is, what do you do about it? Adolescence is a challenging time, in the best of circumstances. You probably wouldn't be reading this if you were in the best of circumstances, so let's talk about how to deal with anger problems and other issues of teens in trouble. 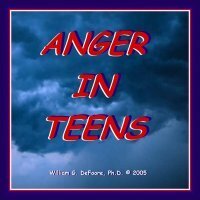 I created the Anger In Teens audio program specifically to help parents and other caregivers understand and deal with angry teen behavior in a variety of healthy, effective ways. Check it out in our online store. The Adolescent Rites Of Passage program will teach you about rites of passage and how to create one for your own child or children. Scroll down on this page to learn more about these two programs. Keep in mind that all teen behavior makes sense at some level. Your job as parent or caregiver is to understand the reasons and emotions behind your teen's actions and take effective action. The adolescent brain is actually unique, as it transitions from childhood to adulthood. It's very helpful to understand what teens are going through internally, so that we can help them succeed in their transitions. Learn in these 2 anger management CDs how to honor the adolescents in your life by creating meaningful rituals, celebrations and ceremonies that commemorate their movement from childhood to adulthood.